Rasberry crazy ants were first identified in Texas around 2002. A relative of our native crazy ant, this species moves much in the same way when foraging alone. This fast, jerky movement with no clear direction is largely responsible for their name. But when they show up in your yard, their numbers can explode and once on your home, they’ll become a visible nuisance..
Rasberry crazy ants measure about 1/8th inch long. Their antennae have 12 segments with no club. Colonies are much like any ant species; nests contain queens, workers and nurse ants. Established communities will also have active broods that consist of larval and pupal stages. At the time of this article being written, rasberry crazy ants have been identified in over ten states and continue to spread. Like termites, rasberry ants release winged reproductives throughout the year and these male and female “swarmers” will fly off attempting to start new colonies at new locations. Rasberry ant nests can become huge and display true “super colony” capacity with uni-colonial behavior. This is the main reason this ant is such a persistent pest. Once found in the yard, chances are high you will see an increase in their numbers and their coverage. Scent trails, once laid in place, will attract a seemingly never ending supply of new ants and if left to breed as they want, at some point in time they’ll seem to be everywhere. Rasberry ants don’t have stingers but they do bite. This bite contains chemicals and can produce irritation but in general, their bite will at worse just “hurt” and then fade when the ant is removed. Other insects and even wildlife, especially young defensive animals, won’t stand a chance when swarmed by rasberry crazy ants. Because they attack in great numbers, rasberry crazy ants can overwhelm must any native insect including fire ants! Currently this ant has become a major pest in both urban and rural environments. Their nests are well suited for success when they land in any yard or garden. They seem to like any manmade equipment station like transformers, air conditioning units, generators and anything well insulated and “on the ground”. It’s not known if its the heat, electrical current or material inside that attracts them but the impact of the invasion is never good. 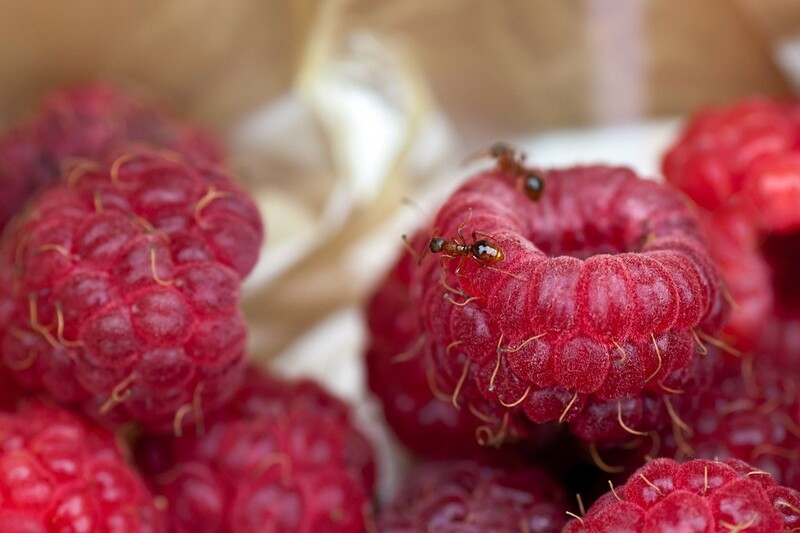 If you have rasberry crazy ants on your property and want to keep them off your home, plan on treating as much of the yard as possible. In general, baits don’t work well for this ant and traditional pesticides are too repellent. True, they can yield fast results and will no doubt kill the ones you spray. But since the ants you see represent such a small percentage of the actual colony, you’ll never get control of the problem because the nest will simply send out new ants to replace the ones you kill. These replacements will avoid where you spray and in most cases, will come back in greater numbers. To avoid this scenario, you’ll be best served by using a non-repellent like DOMINION 2L. This product can be broadcast over the lawn, flower beds and homes siding at the rate of .5 oz per gallon of water per 1,000 sq/ft. In general, one treatment will do the job assuming you’re thorough and get adequate coverage. Packed in a 27.5 oz jug, expect to get 1-2 acres of coverage per jug. For small yards and foundations, a good PUMP SPRAYER can be used to treat. 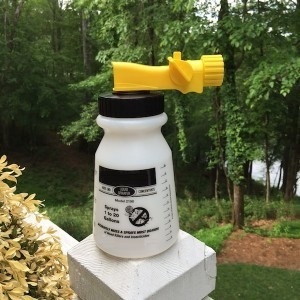 Add .3 to .6 oz per gallon of water and expect to apply 1-2 gallons to the average homes foundation; 1 gallon of mixed solution per 1,000 sq/ft of yard. For large yards, use a HOSE END SPRAYER to make the application. Our sprayer will apply the entire tank using 20 gallons of water which is nearly 1/2 acre. 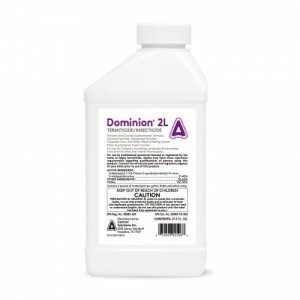 So if you intend on spraying 10,000 sq/ft, add 5 oz of Dominion to the sprayer and then fill it with water to the half way mark. Next, hook it to your hose and spray the entire contents over your targeted 10,000 sq/ft. 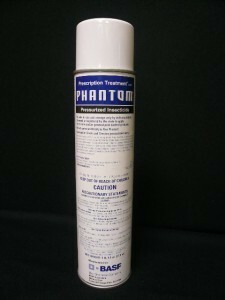 For inside the home, use PHANTOM AEROSOL. This non repellent spray is virtually odorless and can be applied safely in any room where people or pets are active. Use the included injector tip to make sure all cracks and crevices are covered. Retreat once a month. Since both Dominion and Phantom are non-repellents, the ants won’t know there is chemical present. That means they’ll go about their business like always but as they mover treated surfaces, they’ll be picking up small amounts of the active. This will then be brought back to their nest and shared with other members of their colony. Neither the Dominion or the Phantom will work quickly; both take days to kill an insect. But within 2-3 days, the treatment will start to show its effect and ants will start dying. Within a week, all affected ants will b e dead and activity will be dramatically reduced. Within a month, they should be gone and remain gone for months to come. But when they return, treat again being thorough. Remember, the more of the property you treat, the longer lasting results you’ll obtain.